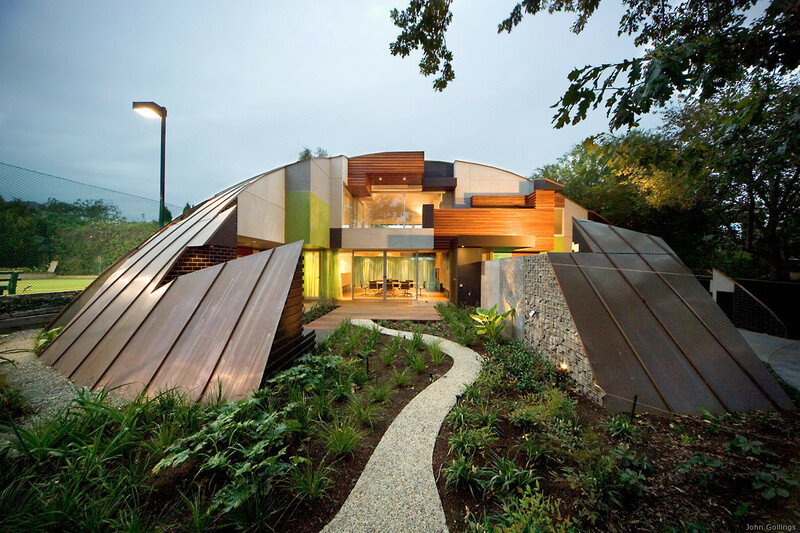 This is a very unique house, called the Dome House, and was designed by the architects Charles McBride Ryan and is located in the suburb of Hawthorn, Victoria in Australia. The design was influenced by a space-ship design by Ro Grounds in 1959 for the Canberra Academy of Science. Besides looking to be a unique house, the designers made use of sophisticated computer analysis of the spatial characteristics of the walls and ceilings into the design of the house. But of even greater importance is that the designers wanted to push the limits of what good taste and fashionable design can be for a house.